LANCASTER, Pa. — Last week I wrote about why political parties across the industrial world are fracturing from the top down. Today I’m writing about the political units that are working. On this Fourth of July, if you want to be an optimist about America, stand on your head. The country looks so much better from the bottom up. I know — the current cliché is that we’re a country divided by two coasts, two coasts that are supposedly diversifying, pluralizing, modernizing and globalizing, while in flyover America everyone is high on opioids, cheering for President Trump and waiting for 1950 to return. That’s totally wrong. Our country is actually a checkerboard of cities and communities — some that are forming what I call “complex adaptive coalitions” and are thriving from the bottom up, and others that can’t build such adaptive coalitions and are rapidly deteriorating. You can find both on the coasts and both in the interior — and you can find both in just one little corner of south-central Pennsylvania. I was invited in April to give a paid book talk here in Lancaster, and I was so blown away by the societal innovation the town’s leaders had employed to rebuild their once-struggling city and county that I decided to return with my reporter’s notebook and interview them. My original host was the Hourglass, a foundation founded by community leaders in Lancaster County in 1997, when the city of Lancaster was a crime-ridden ghost town at night where people were afraid to venture and when the county’s dominant industrial employer, Armstrong World Industries, was withering. This piece reminds me of how excited I was in Business School at the University of Washington, to hear a Professor Cecil Bell talk about Organizational Development and its tool kit. That is the same subject, or set of tools and practices described in the town of Lancaster. Bell collaborated on a small text book with Wendell French called Organization Devolopmment, which is the most valuable set of tools I learned of in my MBA program, if you are interested in the renaissance of communities or organizations. Get the right people together, get them to trust each other enough to brainstorm, sort and prioritize the data, and then the natural proclivity of humans to problem solve will kick in, and miracles can and do happen. 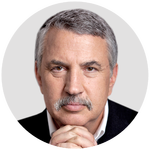 This entry was posted in Decline and Renaissance, Thomas Friedman and tagged by Thomas Friedman, Where American Politics Can Still Work: From the Bottom Up by David Lindsay Jr. Bookmark the permalink.